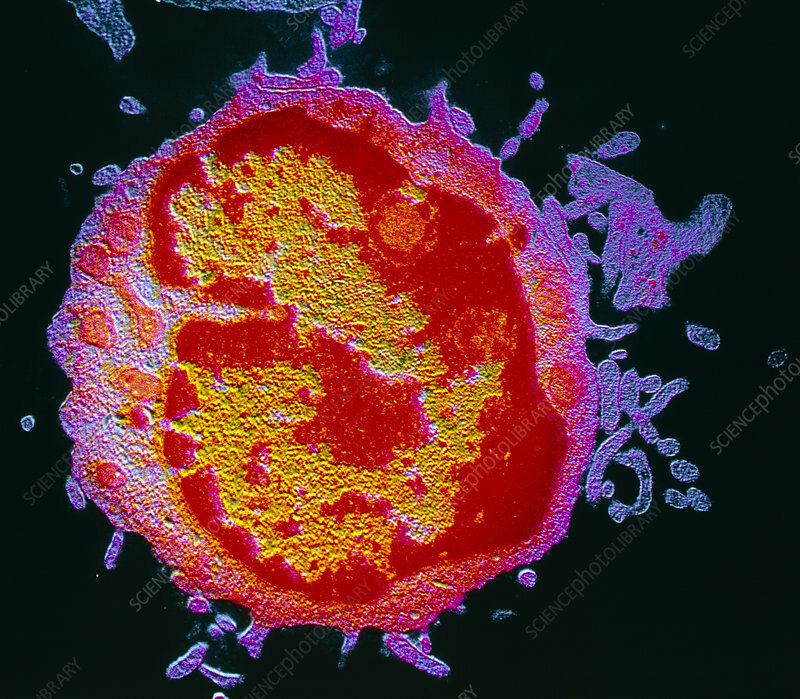 False-colour transmission electron micrograph (TEM) of a lymphocyte, a type of white blood cell involved in the body's specific immune response. There are two main types of lymphocytes; T-cells and B-cells. T-cells (thymus-derived) give rise to a cell-mediated response, tracking down and destroying antigens directly (as cytotoxic or killer T-cells) or through summoning & directing the scavenging macrophages. B-cells (bone marrow derived) mount the humoral immune response through the secretion of antigen-specific antibodies. Magnification: x 5,850 at 6x7cm size, x2,600 at 35mm size.